"Camp Phoenix is important in my life because it’s the first summer camp I ever went to and it’s like a second home to me. It’s important because it lets me learn but in a fun way. All kids should get to experience camp because, well, imagine a mosquito and a dragonfly. The dragonfly goes to museums and camp while the mosquito stays at home all summer not learning anything. While the dragonfly is at a bookstore, the mosquito is just at home--bored, waiting for summer to end. And when summer actually ends, the dragonfly is advanced but the poor mosquito is behind one year of learning. So next year, he told himself, “I’m going to ask my parents if I can go to camp!” That’s why all kids should get to experience camp." "During breakfast at Camp Phoenix, me and Zen would decide what kind of joke we would make depending on what was for breakfast. I enjoyed it because I like making people laugh and smile. Camp Phoenix is important to me because now I look forward to going there every summer. Here's a joke I made up while at camp: Why did the apple walk slow? Because it was a Granny Smith apple!" "My favorite Camp Phoenix memory is camping out. It's my favorite memory because I love to sleep in nature. My [other] favorite memory is the cooking contest. It was special because in my group we would always come to a consensus and not leave anyone’s idea behind. This connects to our talent because our talent is the same thing—cooking and working together. Camp Phoenix is important in my life because without it, I would have to go to work with my mom everyday in the summer and it would be boring in an office for 8 hours each day. 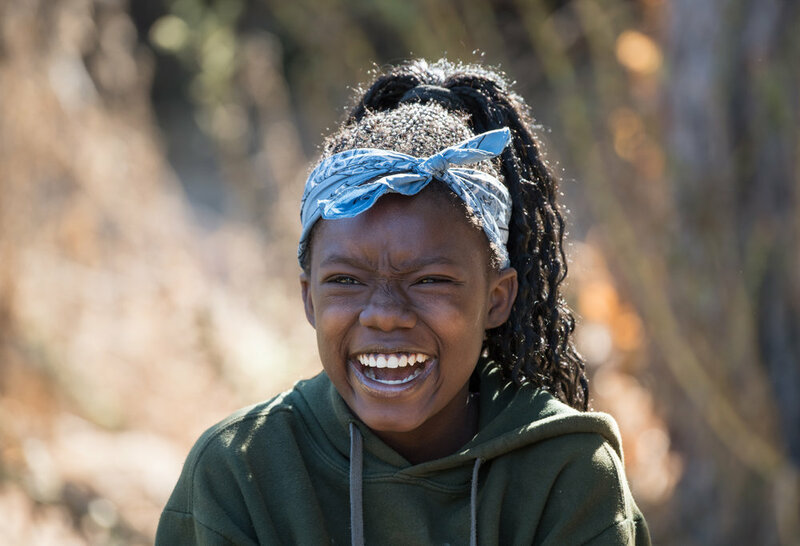 Camp Phoenix changed my life because it taught me new things like learning how to cook and how to be confident." "I actually can't wait for school. Before Camp Phoenix I did not want to go back..I mean I did not like school. But now I'm looking forward to starting. I've learned to be unique, caring, intelligent, and inspirational. I know who I truly am, I know I can feel safe, loved, and cherished"
"What makes camp special to me is all the new things that we learn. There's math, there's reading, but we always have fun. It's a place where you meet new friends, and it's a place where you can just be yourself. It feels like family." "At Camp Phoenix we learn to be weird and silly and we can be ourselves and no one will judge us. I learned to always be myself no matter what. Camp Phoenix is important to me because I get to be open. Camp changed my life because I was able to say what I have to say, and bring my entire self. If I didn’t have Camp Phoenix I would be bored at home. Kids should go because they won’t be shy."